Fancy gold resin frame with a real glass mirror. 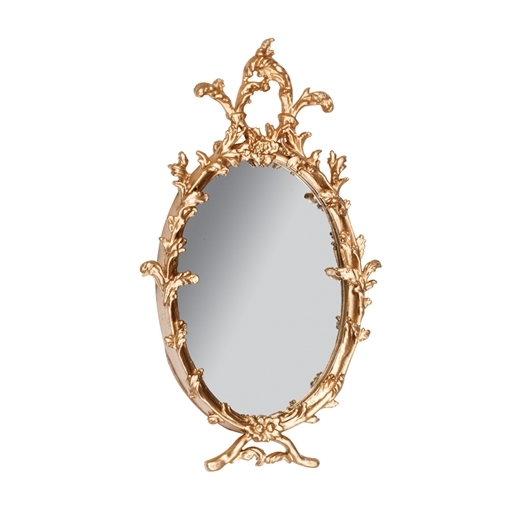 This mirror looks stunning in my dining room and gives an extra elegance to the room. It has decent weight to it as the frame is metal and the mirror is a regular high quality glass piece. There is an option to hang the mirror by two small nails as there are two holes in the back of the frame at the top area. I chose to glue my mirror to the wall. The backing is finished with a high quality paper board material. This is a quality piece and the price is not bad at all.